A little ode to the flamingo today to kick off the week. An amazing bird with all it's beautiful hues of pinks from coral, to powder pink and a little fuschia –I've been loving seeing them popping up in interiors lately, have you? Brings the wild tropical influence indoors and I think it's the unique profile and natural muted colors that work well in creating a contrast to our indoor spaces. 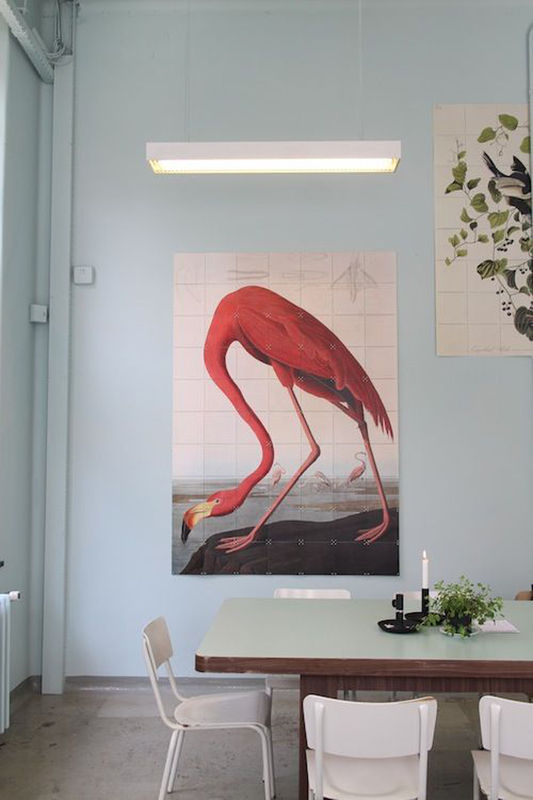 Above: A vignette from Mariapaviljoen, a newly opened restaurant in an old hospital in Den Bosch, Netherlands. Photo by Petite Passport. Second from top left: A portion of a beautiful photo by finnegan_ein. Check the full version here. 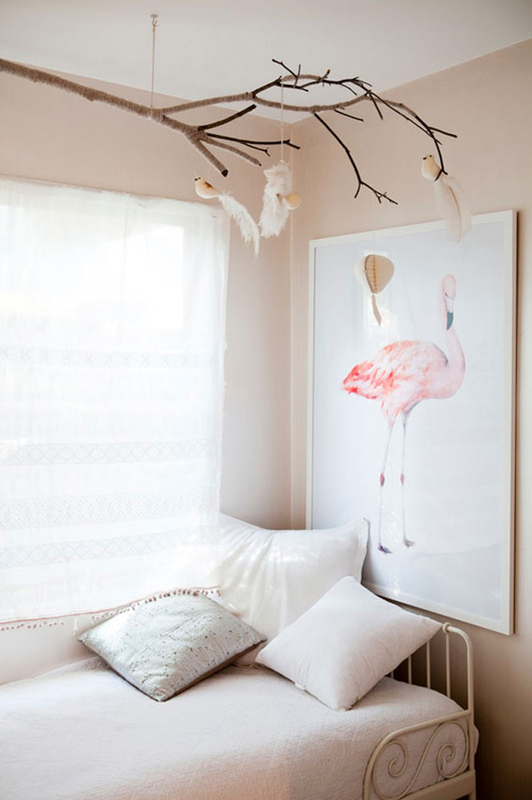 And right: Flamingos wallpaper from Fabrics and Papers. Third from top: est magazine. 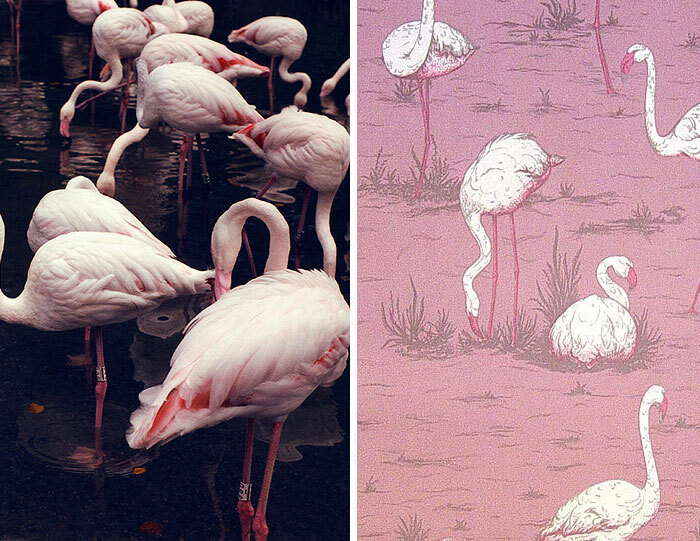 Fourth: Flamingos wallpaper by Albany. Fifth: Alice Flynn via Sfgirlbybay. Thanks Lyndsay - and yeah that wallpaper - flamingos make me so happy! Oh my gosh, that wallpaper! Flamingos are so pretty. I would have never thought of flamingos like this. Very beautiful. Becca - I know i might have to get that wallpaper for something! Hi Leaca! Me too actually - I'm surprised how well they fit into a space if done tastefully. 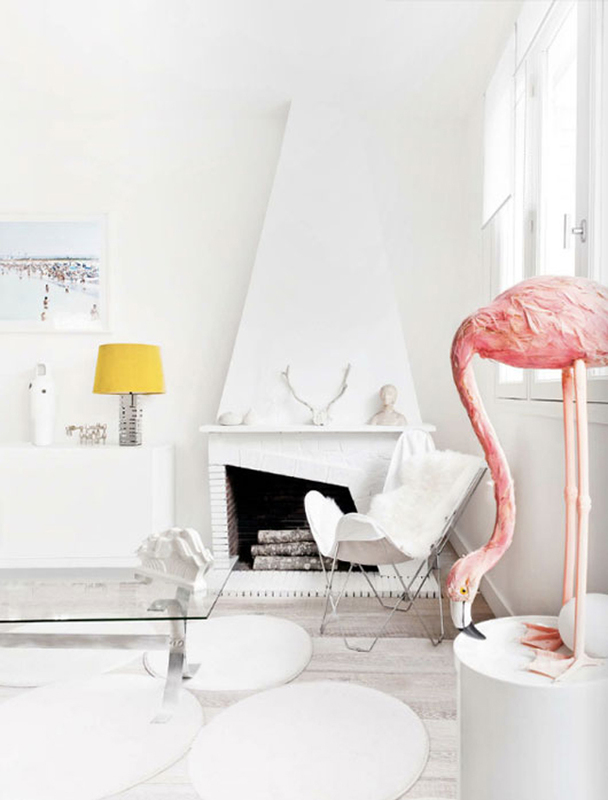 I also would have never thought about putting up flamingo-anything as decor, but these all look amazing! How I need to read on a canadian blog that there's a new restaurant in my home town, which looks very nice indeed. I love the internet.